Do you run a business or a website that is hosted on the popular content management system WordPress? It is the most popular and widely used CMS, but many users are experiencing problems with it frequently. Also, many WordPress users lack the knowledge to fix the issues or do changes to their website. Even though there are many sites that offer WordPress support, most of them work only for one problem and are project oriented. They don’t offer continuous support and resolving of WordPress related issues. The service we will present today will offer personal WordPress support for 24/7 and you can use them as many times as you want for a small monthly fee. We are talking about service called TildenTasks. TildenTasks caught our attention due to its low price. It costs only $77 a month for the basic package. The basic package is enough if you have only WordPress tasks. 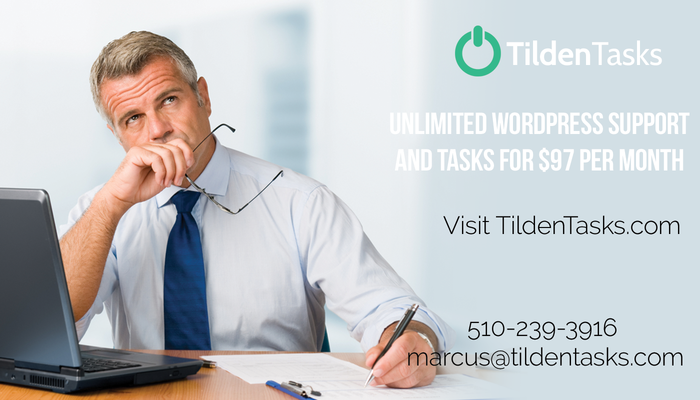 You will get unlimited WordPress tasks that you can submit for solving. The best thing is that you will get everything solved in 1 business day. The rest two packages are for advanced user and they offer much broader services. The Pro package that goes for $97 a month involves graphics tasks besides WordPress tasks. So, you can use them for basic graphic design tasks as well. The third enterprise model is the most expensive. But, with this plan you will have the ability to create custom plans, submit longer tasks and the multiple websites are supported. No matter which plan you select, TildenTasks will offer you help and give you tips in WordPress plugins, landing pages, marketing analysis, email integration, speed check and do a detailed review of your website and how you can improve it. They often give relevant tips and advises that could take your website to another level. TildenTasks is an American based company. They are not some group of freelancers and that will assure highly professional work from real professionals. The services they offer for their basic package are great and extremely useful, and the prices for the packages are really affordable and have great value. They can bring so much new things and help your business for a very affordable monthly rate. Elephone P8000 is an affordable smartphone that we decided to present you due to its great value. It can be a great buying solution for any user that wants a powerful Android smartphone for really affordable price. It is one of those quality smartphones that are not globally popular, but can match the quality of the globally popular and powerful Android smartphone manufacturers like HTC, Samsung, Huawei or LG. Let’s see it features and specifications. It has an amazing 5.5’’ FHD 1080P Screen. It is crystal clear and offers solid brightness and contrast and vibrantly natural colors. It is wide, beautiful and compelling! They have certainly nailed it with the display. Great for entertainment! Elephone has great specifications for better performance. It has 3GB of RAM which will enable you to run greater number of apps at the same time. The phone has solid 16GB of ROM as well. It can store a lot of stock apps and it will help you run your Android easily and smoothly. Elephone P8000 MTK6753 has is powered by a durable large capacity battery. To be more specific it has 4165 mAh large battery that will enable you staggering 21 hours talk time and 2-4 days regular use. On top of that the Elephone features fast charging, so your phone will be fully charged in only 90 minutes. Regarding the processor, the Elephone features the high performance and low consumption 65 bit Octa Core SOC. This processor has A53 structure and that makes it powerful, although it consumes much less power than its predecessors. It features two cameras. The rear camera can produce some stunning photos. It is a 13MP camera that not only produces great photos in normal light, but can also provide amazing photos in low light conditions. It takes photos with great real colors and with great details. It also has a front 5MP camera that can help you make great selfies. Elephone P8000 is certainly a great purchase. This metal smartphone has great powerful specifications and it can match the latest flagship smartphones, even though it costs much less than them. It is powered by an octa core processor with A53 infrastructure, it has powerful battery, 13 MP camera and 3GB of RAM. Buy it now for only $169. VDownloader is a software that will enable you easy download of any type of video that is available on the Internet. It recently caught our attention when we saw it featured on some of the most popular tech blogs (like the CNet) so we decided to give it a presentation to our readers as well. It is certainly one of the best software for downloading videos. The fact that it works for free and that it can download videos from most of the major websites makes it a great video downloader solution for any user. The software works in simple manner. All you need to do is to download it. Then you need to go to the desired website where the video is located. Right here I want to emphasize that VDownloader works with most of the popular websites that play videos like YouTube, Vimeo, DailyMotion, LiveLeak, MTV etc. You can easily search through the videos with the built in tool or you can also browse through the videos in the software. Of course you can search for videos in your desired browser as well. After you find the video, VDownloader enables one-click download. All you need to do is copy the URL into the software. Additionally, you can choose the video quality of the download. We always went with Full HD Videos and good the promised quality. It is as simple as that. The software is light, it runs fast and it doesn’t take too much of your RAM memory. It is easy to use with great intuitive UI. Try it for free on the official VDownloader website. It is certainly a worthy download if you want to enjoy HD videos without pauses and awful commercials. Mood Rescue is an iOS app that can really improve your life. It will help you reach happiness and much more fulfilling life. Mood Rescue is an app that helps people suffering from low mood or depression by helping them monitor their moods on a daily basis and also setting activity goals. Typically people with depression decrease engaging in activities that feel good or elevate their mood. Before they know it they aren't doing anything at all to feel good. The app asks the user to set a weekly goal for activities they think they can complete. They can choose from any activity in any category or even add their own. The goal is to engage in a diverse set of activities to develop a well-rounded, balanced routine that will have a positive effect on their mood. It will also provide custom stats over time on how their mood has changed and how it relates to their activity level. Mood Rescue will also remind the user to go to the app and record their mood or activity if they have not done it in a while to keep them accountable. It will also offer suggestions to select activities from various categories to get the most out of the app. Mood Rescue is an app with great set of features that can really help you improve your mood in many ways. Try it on the App Store and you wouldn’t be disappointed. Monsters Panic is a new Android game that was released this month in the Arcade category. It caught our attention with its originality and interesting gameplay so we decided to present it to you in this game review. Monsters Panic has simple goal. 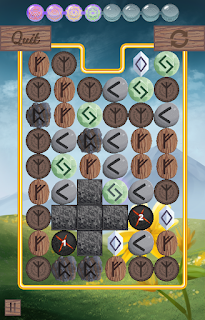 It is a reaction game that has simple goal – to protect the 2 monsters from crushing each other. We thought the game is simple and easy, but we were wrong. The game is challenging and definitely not easy. You need to avoid the small monster, but the side of where the small monster will run from changes. So, you will never be sure or know from which side you need to jump. On top of that your jump must be timed properly, because if you don’t the crush will occur anyway. The graphics of the game is very tasteful, full of creativity and cuteness. The creatures are very beautiful and compelling and everything functions properly. The controls are simple. If you want the monster that is running from the right to jump, just tap on the right side, or do the opposite for the other side. The game is integrated with Google Play Games so you will have another motivation to achieve high score, you will be competing with the players of Monsters Panic from all around the world. Get the app for free on Google Play, we are sure it will offer you fun and entertaining times. Kanjy Corporation or Learn Kanji Corporation is an app that is available for both Android and iOS created with a simple goal – to help you learn Japanese Kanji in interesting manner. It is interesting that the game is based on a real company from Tokyo Japan called IshousKeikaku. So, the goal of the game is to grow the company from 3 to 30 employees and at the same time you need to upgrade the technology. It is an education game that will help you to learn and master the Japanese Kanji. This game contains kanji radicals. They are similar and through the games you will learn them much faster. On top of that there is various Kanji grouping so you will learn the difference between different symbols much faster. The game is interesting, but simple and easy to play as well. It will not confuse you, but instead it will learn and educate you. You can even play it with one hand. Another great feature of Kanji Corporation is that the game will keep reminding you of older Kanji, while constantly learning you with new ones. In that way you will always be reminded of the Kanji you’ve learned previously and you will hardly forget them. Because it is developed by Japanese developers, each pronunciation can be listened and it will be pronounced by native Japanese speakers. So, you will have both audio and visual learning features enabled in Kanji Corporation. Another great fact is that the app can be used by people that know Kanji, but are eager to learn English. So, it is an app for two types of users. Kanji Corporation has more than 40 levels and it will help you learn over 240 kanji characters. The game is perfectly developed and optimized for iOS and Android. You can get it for free on the App Store or Google Play. If you have accidentally deleted files from your PC, or you have lost them due to a virus attack, or any other reason, then you will need a good and reliable data recovery software to return and recover all of your deleted data. One of the best in the business is certainly Do Your Data Recovery Software. It works on multiple platforms and it also works with the newest operating system from Windows – the Windows 10. Like we said, Do Your Data Recovery is one of the best in the business due to its great features. It can recover anything from basically any type of device or memory card. No matter if you’ve deleted photos from your memory or SD card, or some files from your PC, laptop or hardrive, Do Your Data will find everything and it will enable you to recover them. The best thing is that the software is very easy to use. All you need to do is to scan, preview and select everything you need and recover. The software will run an advanced scan and find even the Windows 10 data recovery. We were skeptical about this one, but it did run a smooth and successful recovery of the files we deleted intentionally. The software is light and fast, even though you scan larger partitions and devices with huge amount of data. Do Your Data is probably the best data recovery software we have used. It is light, fast, and powerful and it does thorough scan that finds and recovers any type of files. It works perfectly in Windows 10 as well. It is certainly a great software to have on your PC, laptop or Mac. 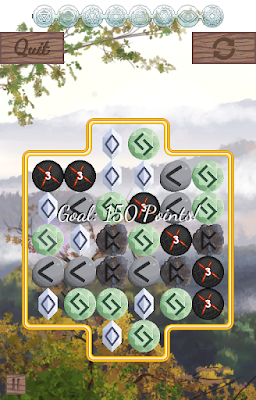 Do you love Marble Puzzle Games? Well the new addictive game that we recently found on the play store called Lines is certainly one of the best new puzzle games. It is so simple, yet very challenging and entertaining. It represents Android gaming in its best form. It is tidy, clean, beautiful and simple to play, yet so challenging and interesting. Lines works in simple manner and has simple goal. You need to make as many lines as you possibly can and the lines must be as long as possible. The longer they are, the more points you will win. In order to make a line you need to connect balls with same color. When you create combos you will increase your score. However, even though this sounds easy, watch out because any ball can be blocked by other ball. So, plan your way in achieving the best score. When a game is so simple and joyful, yet so challenging, all you need to do is to get your Android device in your hands and enjoy challenging puzzles that require thinking and strategy skills. 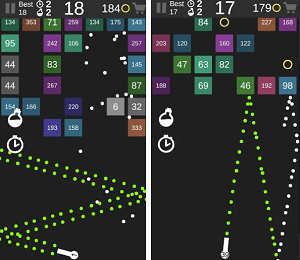 Get Lines for free and see why it is one of the best new marble puzzle games. It is suited for all ages! 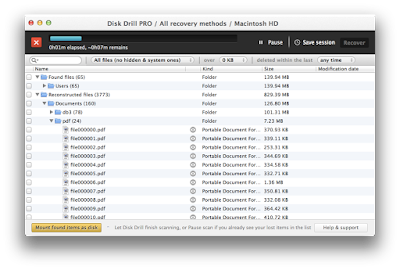 Disk Drill is one of the most popular data recovery software for Mac. It is practically one of the most downloaded utilities on the popular CNet’s website Download.com. It can save you from many unpleasant situations like deleting your favorite photos or losing an important file. Recently, Disk Drill data recovery app got its version for Windows. We should mention that the guys from Cleverfiles did an amazing job with this version too. It has the similar features, but they are all optimized for the computers that run on Windows. Let’s the features of the Windows version. First of all it can scan virtually any drive. Whether it is a USB or a hard drive or even any other external device or card. After you install it, you can do an easy recovery with one simple click. The great thing about DiskDrill for Windows is that it can provide different types of recovery quick scan and deep scan. But unlike other recovery software it also offers to undelete protected data. Everything runs fast and smooth. Disk Drill for Windows includes all file systems in its scan and recovery. I’m talking about FAT, exFat, NTFS, HFS+ Mac Driver etc. That makes it broad and thorough, and that are the 2 most important features for a recovery software. 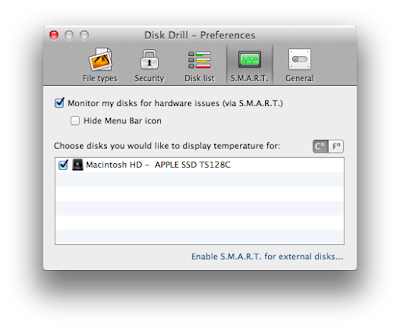 Disk Drill can even search and find lost data on your partition. This is the case when the partition has been infected, reformatted or lost. But, one of the coolest features of DiskDrill for Windows is the Recovery Vault. In that way anything you delete from your files will be saved in the vault. 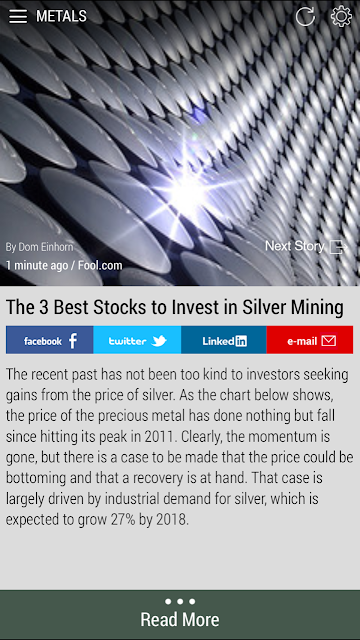 Born2Invest is a business news Android app that quickly earned great critics from the Android fans and users due to its quality, relevancy, simplicity and beautiful and intuitive interface. It contains relevant business and economy news from relevant and trustful sources that you will get on your devices in a unique format. All news will be no longer than 80 words. The app is perfectly optimized for any Android device. It is fast, clean and neatly organized. You can browse through different categories like economy, finance, world news, technology, metals, investment and many others. Born2Invest will enable you to organize the app according to your taste. You can search through your favorite categories in the flawless beautiful navigation, and you can bookmark news and even get localized app versions. Another cool thing is that Born2Invest incudes video news and stories. So, that makes it the complete business news app that is a must have for anyone that is involved in the business and economy world. Get it for free on Google Play and always be in line with the most important news from around the world! Do you know where you were a year ago on this date? What were you doing? How was the weather and how were you feeling - happy, sad, creative or maybe a little grumpy? If you're like me, you probably have no clue. Most people don't take the time to record their activities or their attitude on a daily basis. But you probably would take the time if you had the iFeel app installed on your iPhone. Losing a valuable file from your computer can be really stressful. However, today there are various file recovery software that can help you recover any lost data. So, today we are going to present you one of the best – the Disk Drill data recovery app. Having an app like this can really save you from unpleasant and stressful situations, but also can give you the needed feeling of safety. This simple software offers various useful features that we will disclose bellow. All you need to do to start using Disk Drill is to install it. Then the app can browse and search through your computer to find the files you did lost. However, before we continue and explain the scanning process, there is a useful information that needs to be shared. Disk Drill will not only work with your Mac, but also with any other device you connect to it. So, you can also do recovery from files from other iOS devices. Disk Drill performs multilevel scans of two types. That depends from two factors: when did you delete the file and how did you lose it? So there is a quick scan and deep scan. The quick scan is for files that you have recently deleted, and the deep scan is for files that you deleted from long time ago. We have tested both scans and always had great results, all files were found and were able to recover. 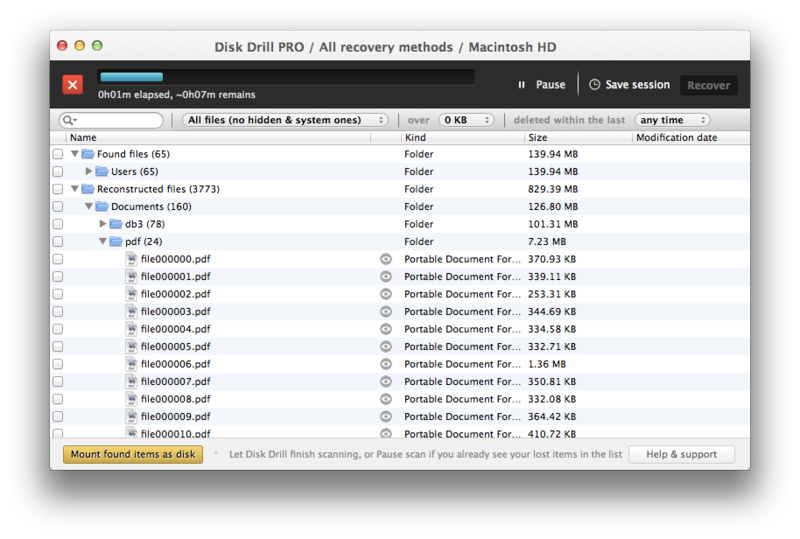 Disk Drill offers preview, so you can check out if the found files are correct and the ones you needed. The software is very easy to use. It is intuitive, neatly organized and highly functional. It found and recovered all of our files and we are sure that it is one of the best file recovery software for Mac. Disk Drill is free, check it out and see why it is one of the most downloaded file recovery software at the moment. Pincal is a very useful app that we decided to do a review of because of its lovely and highly functional features that many of the Pinterest users will simply adore. It is an app that will enable you to sync your pins with your Calendar. You that with over 200 million users on Pinterest, there has to be a way to share those interesting pins to your calendar. But, previous to Pincal, that app store search would come up empty. Pincal is a free app on iOS and Android that helps Pinterest users share their favorite pins to their phone's calendar. With it you can start planning your meals and DIY art projects more effectively! Want to pin your favorite outfit and get a notification to remind you to buy it at the mall? The uses of this app are basically countless. Download Pincal at one of the links below. Today is a new iOS App that was released on August 1 and has quickly earned critical acclaim due to its high functionality, unique set of features and lovely design and UI. It is a productivity app that we adored so we decided to present it to our readers. It is a productivity app that focuses on today and sets daily targets to maximize productivity. It works only on iOS 8.2 or higher and it is integrated with the Apple Watch. Some of the products that we desire are too expensive when we want to buy 1 or 2 items, when compared to large bulks. Also, very frequently, some products are only available for shipping if they are ordered in large bulks. So, today we will talk about GroupGets, website that will help you organize a crowd purchase in basically any quantity. With it you can simply get existing products sold in high quantity or cheaper in bulk. All you have to do is to create an account. After that you can either browse or create a group get. If you browse for products you can see that already there are various different products that needs funding in order to be distributed. If you are interested in certain product you can get detailed info about the product, see videos, photos, comments and simply get great amount of information about it. Additionally you can see how many days are left, how many are funded and reserved and how many backers the campaign has. You can contribute and you can spread the word if you think that the product and the campaign are useful to your friends and followers. On the other hand you can also create a campaign. You must include all the previous parameters I’ve mentioned like description, photos, videos, days etc. The cool thing about organizing campaigns is that GroupGets will also give cash rewards to the creators of the successfully campaigns. On top of that businesses can also you GroupGets to present and sale their products and organize campaigns to boost sales. At the end of the day GroupGets is pretty simple, yet highly effective service that is beneficial for both the buyers and the sellers. It can save you a lot of money and it will help you get the products you desire. Try it now here. The amazing puzzle app Bounce OMG is now available the Apple® App Store for free download. Bounce OMG is one of the latest bouncing ball puzzle games released on the Apple® App Store. The game play of this puzzle game is simple but it has an extraordinary dynamics that keeps players engrossed in its course. ‘Bounce OMG for the Apple iPhone® is not only a fun and unique puzzle game with a twist, it is also a game that is easy to learn, but difficult to master! The game is developed by Berkay ozdemir, and it is compatible for iOS 7 and 8. Whack An Alien Mole Invader is a cool new game that is available on iOS and Android. We loved it so much that we must present it to you. It is one of those games that quickly grow to you. We loved everything about it. Its graphics are exquisite and unique, and the game play is just amazing. The game has interesting story, it is enjoyable, warm and relaxing. I’m a regular trader of Forex Binary Options Trading. I wanted to do this Forex review because recently I have used Goldman Capital Market, and it is easily one of the most amazing Forex binary options trading services I have ever used. It is definitely not a scam, like some of the forex trading platforms that burned me before. Let’s see my experience. I signed up and started using the Goldman Capital Market services very fast, much faster when compared to other websites. I have chosen a demo account because first I wanted to try out their system. You’ll get $50000 at the start and I like to inform you that Goldman Capital Market uses Meta Trader 4. It offers incredible speed and real-time or automate trading depending on your needs and desire. I have use them both, and anyone that has used Meta Trader 4 before, knows how good and reliable this platform truly is. The advance charting analysis featured in this platform is amazing and can be beneficial to any trader. I like to also comment about the Goldman Capital Market customer support. They are always here and they answered various questions that I asked for the purpose of this review. They are knowledgable and responsive, which is crucial. So, they are great and can be helpful to anyone. So, after few days I deposited money. I did that because they convinced me that they can give me solid position and signals, plus their trading platform is amazing and their customer support is superb. their fair trade execution. The safety of the funds and the withdrawal also highly secured, I have successfully made deposits and withdraw money without any problems. I also wanted to emphasize that I got $30 bonus of my funds for trading. I earned 15% more than my initial deposit just because of their platform and their reliable signals with more than 85% accuracy. I was amazed by that and many things at Goldman Capital Market. While doing this Forex Review of Goldman Capital Market I concluded that this place is worthy of an investment and that is definitely not a scam! Pirate Jigsaw Puzzle is an Android puzzle game that recently caught our attention with its lovely graphics, beautiful music and compelling colors and gameplay. It is a game that will take you to another more beautiful world and it will entertain you to the fullest. You can play it yourself, but also you can play it with your friends and family. Popup for Gmail, Missed Call and SMS is an Android app that ranks high in my list of productivity apps these days. This app has simple, but yet so useful, main feature. It shows all of these notification in a tidy smart popup window. It loads fast and it looks clean and can be really handy when you are on the go or in a hurry. Perfect for work or situations when you need to respond fast to text messages, emails or even missed calls. If you are searching for a software that will enable you to map selected locations and display them in any form, than search no more. The software that we will review today will enable you just that and it will enable you to do it in various customizable ways. We are talking about the amazing iMapBuilder Interactive Map Software, software that can be extremely useful to businesses. After you download it you can use it for free in order to see if its features are useful to you. You can later buy the full version with all the map software features. The first feature that iMap will enable you is to add or import multiple locations. There are multiple cities already included in their list, so you can just select the cities. If you however don’t find your location, you can select plot points using latitude and longitude coordinates. You can use this to indicate your national stores or offices. Yon also create Choropleth Map, which is map with different colors of different regions. These colors are often used to show some statistical data. Of course you can create maps with legends and map with highlight. This are perfect to explain and describe the data used in the heat or highlighted map. You can easily annotate any map as well, putting names or any kind of letter. The feature we liked the most is the draw route on a map feature. You can create travel routes or directions with ease. Thus you can connect different important locations on the map. What’s cool is that you can add map infowindow on any location. With the Infowindow you can describe or give additional information about any location. At the end you can not only add infowindows, but you can also create simple map charts that will contain different geographical data. After you create any type of map you can easily share it anywhere. All you have to do is to get the embedded code. You can paste the embedded code on your website or blog and thus show your desired map to your readers and users. It is as simple as that. iMap Builder enables multiple useful features from which businesses and content creators can only benefit from. With its intuitive UI and full featured software, you can easily create any type of map and present it on your readers, users and even business partners. Try iMap Builder for free and start benefiting from the creation of customizable maps today. Zenchanted is easily described as all three of these things and it pulls it off nicely. Venture through many serene landscapes while matching up mystical Runes in this Puzzle adventure from Aventurine Productions featuring over 100 levels and tons of brain-teasing puzzle mechanics! Although the base concept is well known, the theme and mechanics implemented into Zenchanted are truly unique and virtually never done before! The gameplay is designed to be relaxing, all the while making you think. The game doesn't hold your hand while you mindlessly swipe the screen until presented with a "YOU WIN" or "YOU LOSE" message, no. If you feel that you are stuck, it's up to you to make the call to sacrifice a portion of your hard earned points in order to "refresh" and get a new set of playing pieces. If a challenging level ever holds you back a bit though, the next couple of levels after will be more relaxing and keep your game experience flowing nicely.